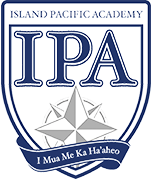 The ʻOhana Festival is the state’s largest new year’s festival celebrating Japanese traditions. 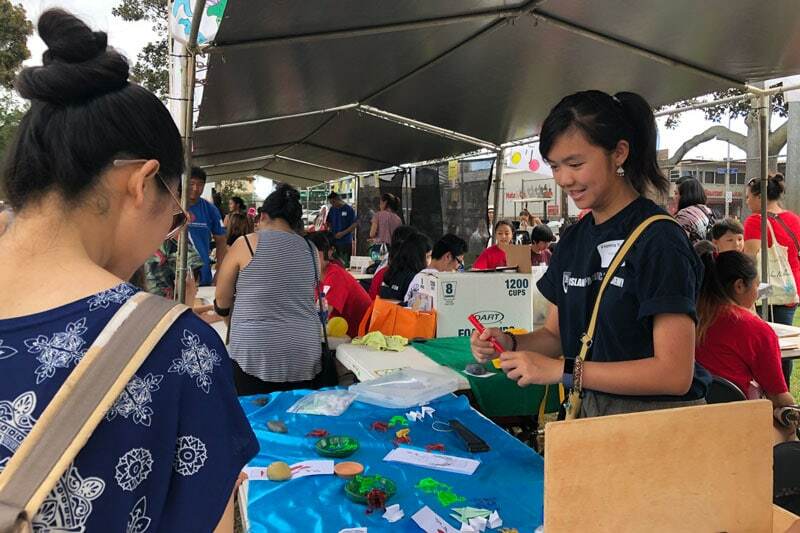 This fun-filled event, held at JCCH and the Moʻiliʻili Field, featured a craft fair, mochi pounding, taiko drumming, game booths, a variety of delicious Japanese food, and much more. The festival is a great way for families and friends to get together and celebrate the New Year and all of Hawaiʻi’s cultural diversity. 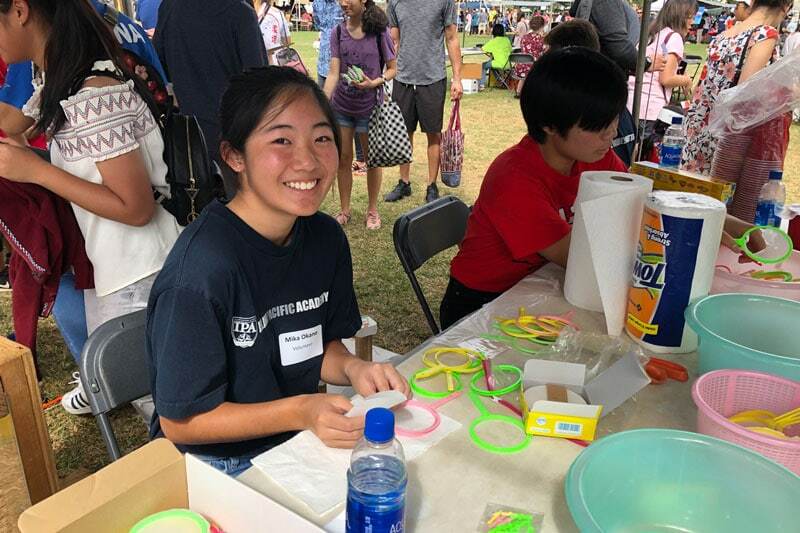 This year, IPA’s Japanese National Honor Society members had a wonderful chance to volunteer at the keiki games area. 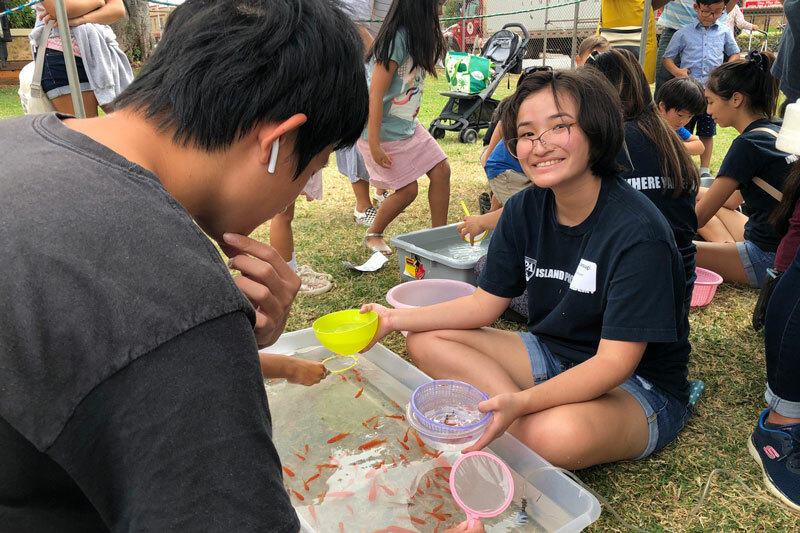 There were a variety of games to keep the littlest one entertained, including catching live fish, fishing for objects, crazy driving, leapfrog, and fukuwarai (a hilarious Japanese traditional activity). The JNHS students enjoyed talking to enthusiastic little kids, running back and forth from game to game, excited to fulfill their happiness. 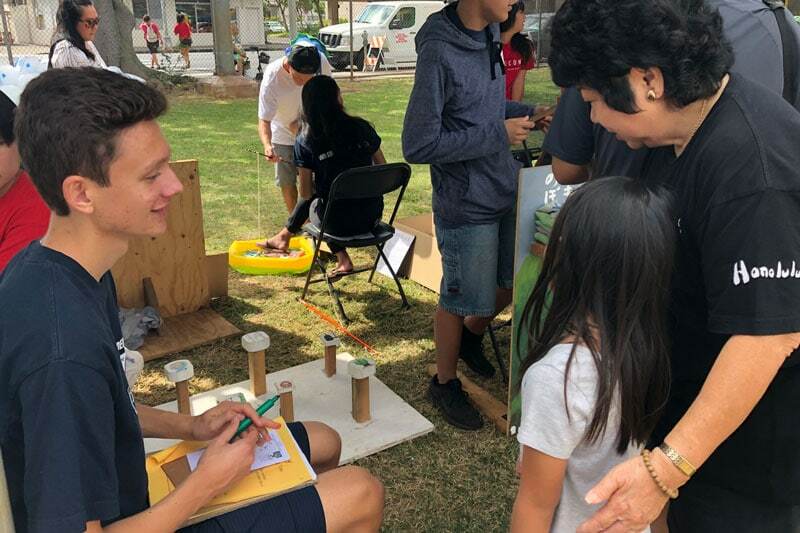 It was a great opportunity to help JCCH with their keiki games, and most importantly, to experience all festival had to offer. 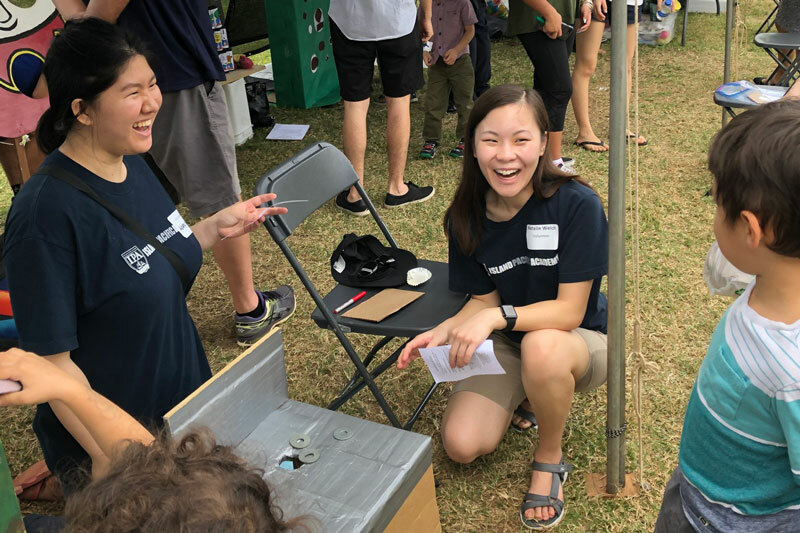 Kristy Munakata (’19) and Natalie Welch (’19). 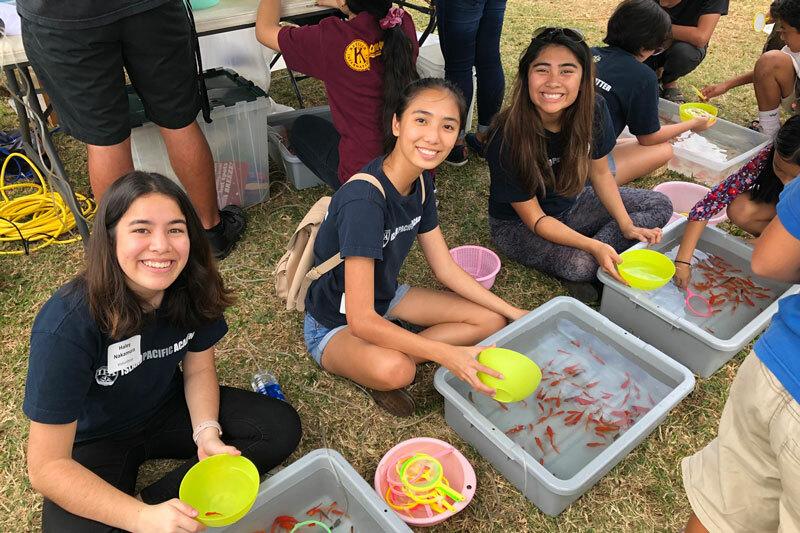 Haley Nakamura (’19), Mina Cintron (’20), and Rylyne Bravo (’19).